Looking for the perfect outfit to go with your running shoes? Then you've come to the right place because in our online shop we offer you a great selection of fashionable Asics running wear so you can complete your look for your next workout. Tip: if you buy all your articles from the same brand the outfits will be easy to combine so that you're top styled for every workout. Of course Asics clothing not only looks good, but also offers high quality material properties. Optimal moisture management is one of the most important characteristics of Asics clothing. It is precisely during intensive running that good ventilation and high breathability are crucial. Moreover, the material should be light and give your full freedom of movement, properties that are integral components of running clothing. The same applies to reflectors, which ensure that you will be seen even in low light conditions. In addition it is recommended, especially for the cooler months, to choose models that are equipped with the innovative Windstopper Active technology. Not only do they stop the wind, but they are also water resistant. Go for a run in the rain and never fear getting wet again. For warmer days there is the Asics clothing with UV protection. Some running shorts feature a light compression effect that supports your muscles and at the same time shapes the body. The compression material helps your muscles coordinate together better and ensures more training power as a consequence. The seamless models of Asics clothes guarantee the greatest comfort. Close-fitting tops are made of a soft material and have very few seams. Here at Keller Sports you can find current Asics running gear at an excellent price. Both ladies and gentlemen can find the ideal Asics outfit with us. Women have the choice of figure-hugging running T-shirts, feminine shorts, airy tanktops, classic t-shirts or long sleeves and functional running shorts in different lengths. Also, zipped jackets, vests and hoodies are part of the extensive range that we have on offer, as are hats and socks. Asics running clothes for women are available in many fashionable colours and patterns, so we have something suitable for any taste! The Asics running clothes collection for men also is made up of T-shirts, jackets, vests and pants. In addition, the clothing range includes practical accessories such as gloves, hats, caps, sweatbands and socks. Special highlight: the men´s visibility pack consists of a breathable running vest and a thermal towel. The vest is bright neon, has numerous reflectors, and can be easily put on over regular Asics running wear. This amazing extra will make sure you´re never overlooked, not even in complete darkness. In our Asics running clothing range you can find a variety of high quality styles for your training. So you can find exactly the model that best fits your running style we recommend you use our search filters. 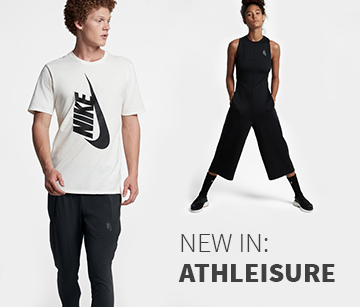 They are at the left of the page and will allow you to filter out any unsuitable Asics clothing articles which may not suit your requirements. In addition, you will also get help from our consulting service if you´re stuck! Just connect to our chat. Since expert advice is very important to us we will answer questions and give you helpful tips on ultra practical features. Try it out sometime!